As we now, today most mobile phone companies focus on manufacturing smartphone with 5.5 inch or bigger screen size, big screen mobile phones have become a trend. Though big full screen display provide bigger vision, but there are still many people like smaller phone like 5 inch mobile phones, when you are go out by bus, you can use your one hand to play your phones; you can put your phone in your pocket without worrying about it falling out. According to market research, India’s mobile phone demand is still very large. So many phone manufacturers still produce 5 inch mobile phones for India. It is really difficult to choose the best 5 inch smartphone when there are so many options in front of you. If you are one of those people, who is searching for a best 5-inch smartphone in India, these below KXD 5 inch smartphones is a good choice. 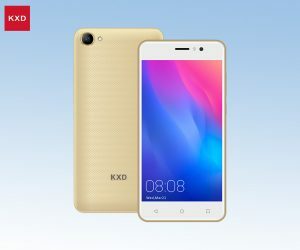 KXD Mobile have become known as the Chinese-brand that offer excellent craftsmanship and performance at low-range prices. 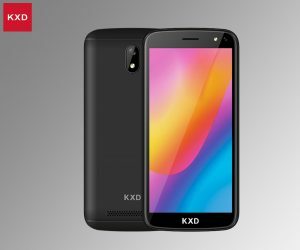 In 2019, KXD mobile phone company has released three 5 inch mobile phones in India, they are KXD W51, KXD T50 and KXD W50, now let’s learn more about these 5 inch screen smartphone. 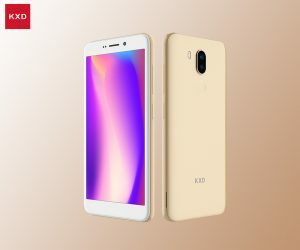 KXD T50 is one of the best 5 inch full screen display mobile phone and thus worth to be listed under the list of best 5 inch smartphone in India. Its 5 inches 18:9 full HD Screen display and ultra-wide field of view with more popularity enhances your visual experience taking it to another level that too without effecting your pocket. Besides, KXD also have designed a more special interactive mode for this screen. With a18:9 screen design, your horizon has become even wider. KXD T50 is a cheap price mobile phone but also come with high specifications. It comes with 8 megapixels + 2 megapixels rear camera, 1.4μm large pixel sensor, f/1.7 large aperture and high-precision 4-axis OIS optical image stabilization technology, exciting moments will not be missed whether in darkness or fast moving situations. Plus a depth detectable professional background blurring camera, you can blur the messy background when shooting portraits, which can achieve prominent characters and make the pictures full of artistic conception and three-dimensional effect. With preposition 5 megapixels, share yourself to the rest of the world. KXD W50 is another one of the best 5 inch smartphone. The KXD T50 uses a 5.0 inch 16:9 display is a perfect balance for you to look at, and hold. It adopts IPS technology which enables wider viewing angle and crisper images. KXD W50’s screen features with 450cd/m² super bright, 854×480 FWVGA IPS super clear & wide viewing angle and RawColor display enhancement technology. W50 comes with 4 colors and a unique textured back, which offers a great grip and a modern look. The compact size makes it a perfect companion for you. W50 features two micro SIM slots and a microSD card slot for expansion of up to 64GB. So stay connected on worldwide 3G network and never worry about running out of storage. Experience the latest Android 6.0 with KXD custom UI and several handful additional features. No bloatware, pure experience. And KXD W50 come with 2.4G and 5G dual-band signal amplifiers provide stronger signal reception, longer connection distances with more stability. Smart Connection to WiFi hotspots of better signal. KXD W51 is the latest 5 inch screen smartphone of KXD Mobile, the slogan is “full screen for everyone”. The KXD W51 has be released, it comes with the 5.0 inch 18:9 IPS full screen display of the W51 will definitely subvert your imagination for entry-level. Its sharp, crisp, and vibrant images deliver a visual experience that stays ahead of the competition. And W51 use a comfortable design, With the rounded corners, beautiful curves and 2.5D glass, W51 offers great hand-feel with its comfortable design. And the let’s talk about its camera and battery, these two features also the most important for users, the W51 comes with 2MP rear camera and 2MP front camera, this is a very good camera on most low budget smartphone. And for KXD W51’s battery, with a high capacity 2000mAh battery and KXD’s own battery saving technology, the W51 can last a full day use with out charging. What’s more, it is removable which adds to its versatility. If you have plans to buy a compact 5-inch display smartphone, The KXD W50 or W51 is yet another powerful offering by the Chinese company in the budget range. The phone takes on the KXD T50 which is currently doing well in this price range. In terms of specs, the is hardly anything to choose between two phones expect for the software and display resolution. On a casual glance, you can easily confuse KXD W50 with its brother T50 or with the budget driver. These there phones are compact so people with small palms should be very happy. If you want to buy or check more about these two 5 inch phones, you can contact us or go to the where to buy.